There are several occupations that require college degrees and extensive training in order to join that particular field. 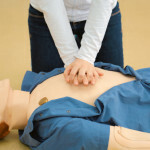 But did you know that many jobs require training in life-saving skills, such as the ability to perform first aid and cardiopulmonary resuscitation (CPR)? That’s right. Along with their other primary duties, workers in several occupations must be prepared to perform first aid and CPR in case of a life-threatening emergency. With that in mind, let’s discuss which careers require this specialized training. When there’s a 911 call for an emergency, paramedics are sent on location to help provide medical assistance. When they arrive, their job is to diagnose a patient’s condition and determine the best way to provide immediate medical treatment. Providing first-aid treatment or life support to anyone who may be ill or injured. While a firefighter’s main duty is to respond to fire emergencies, they are also sent to areas where serious traffic accidents and chemical spills have occurred. Being a nurse can be a complex career as nurses must be able to care for patients, while also having the ability to constantly problem solve and think on their feet. 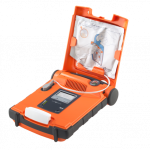 They must also be certified in CPR and first aid training because much of their job depends on ensuring the cardiovascular and overall safety of their patients. While doctors can specialize in several areas of medicine, such as cardiology, pediatrics, anesthesiology, (etc. ), many are trained as life-saving experts with a certain responsibility to examine, diagnose, and treat patients on a regular basis. Because of this, CPR certification is a definite prerequisite. 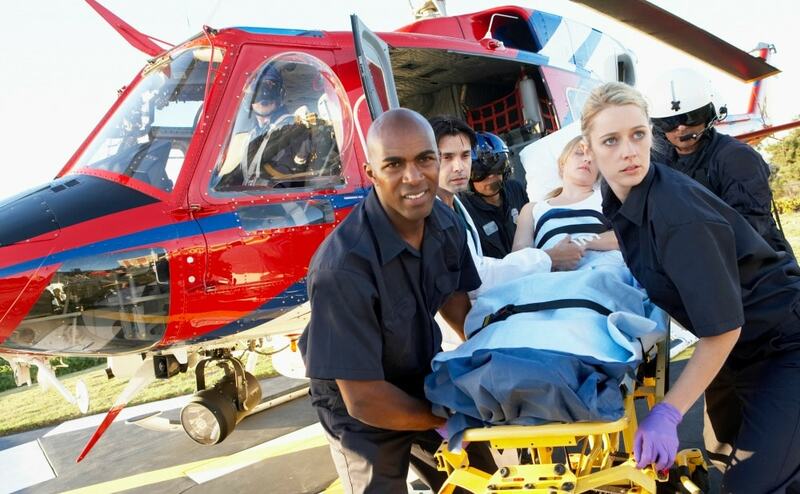 In addition to earning a doctoral degree in medicine, most doctors must take advanced cardiac life-support (ACLS) training in order to assist with urgent treatment of cardiac arrest or stroke. In general, a police officer’s duty is to serve and protect their community and the people and property within them. Police departments generally assign specific areas for officers to patrol and these officers are tasked to recognize and act on any suspicious and/or unlawful activities, so it can be quite dangerous. Not only that but when needed, many police officers are even trained in CPR in case of a health emergency. That way, they are able to assist someone involved in a traffic accident or injured in a domestic dispute until paramedics are there to help. Lifeguards are responsible for the health and safety of anyone entering a body of water, such as a swimming pool, lake, or ocean. Because of this, they must be CPR-certified to ensure that they are well-equipped to provide first aid to drowning victims or anyone who has suffered an injury while swimming. That way, they can provide the necessary care until EMS personnel arrives and takes over. On top of CPR certification, lifeguards must often take first aid training and AED training and meet multiple requirements related to swimming abilities to ensure that they will be able to assist any swimmer in need. Speaking of safety, you want your children to be as safe as possible when you leave them in someone else’s care. Luckily, many states require childcare providers to be licensed in order to work at a daycare center. In addition, staff members of many daycare centers must pass a thorough background check, and they must even be trained in CPR and first aid in case of any health-related emergencies. In the event that any life-threatening emergencies occur during air travel, airlines often provide CPR training, in addition to the other training requirements necessary to become a flight attendant. They all require first aid and CPR training. 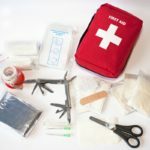 Learning first aid and CPR is so vital for these occupations because they involve interacting with large groups of people who heavily rely on them. But even if your career does not fit into one of the job descriptions above, there are still many reasons to get certified in first aid and CPR. You may find yourself in a medical emergency situation, and learning these skills could prepare you to step in at a moment’s notice to help and save someone’s life if needed. 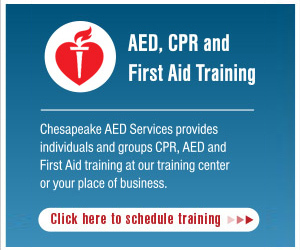 So if you’re a resident of the Baltimore area and are looking to receive CPR and first aid training, contact Chesapeake AED Services today to learn how you can get certified immediately!